Comes from solid planning and sound design. By helping you through all stages of your project. We can work with you to achieve your goal. Welcome to Ram Fabrications Ltd.
We offer a full spectrum of steel and metalwork services from Structural Steel and Secondary Steel to Balustrading and Ancillary Items - our services range from Design right through to Installation and Project Consultancy and we can offer a one-stop solution for most clients requirements. Get in touch for a chat! Back in February of 2007 we, as a Family, decided to take the plunge and form our business. With over 20 Years previous experience in construction, mainly working for other steel contractors, we decided to pool together all of the knowledge, contacts and experience of our past to form Ram Fabs LLP. We strive to remain a true Quality Service Provider and beilieve we made the right decision by taking that plunge. We are CE Accredited and you can view a copy of our certificate by clicking HERE - we are also CHAS and Construction Line accredited! To put it simply, we know what we are doing and we've being doing it successfully now for years. We are pursuing the right accreditations and certifications to ensure that we deliver nothing but excellence to every project we win. Ram Fabrications are fully CE accredited and our certificate can be viewed by clicking on the link above. CE Marking of structural steelwork is a declaration by us, the manufacturer, that our product meets certain public safety requirements. The public safety requirements are a set of Essential Characteristics that each product must satisfy and these characteristics are given in the product’s harmonised standard. All of our products and solutions are CE Marked! For more information on this subject see this interesting Parkers article - CLICK HERE! Ram Fabrications are now ISO 9001 accredited. 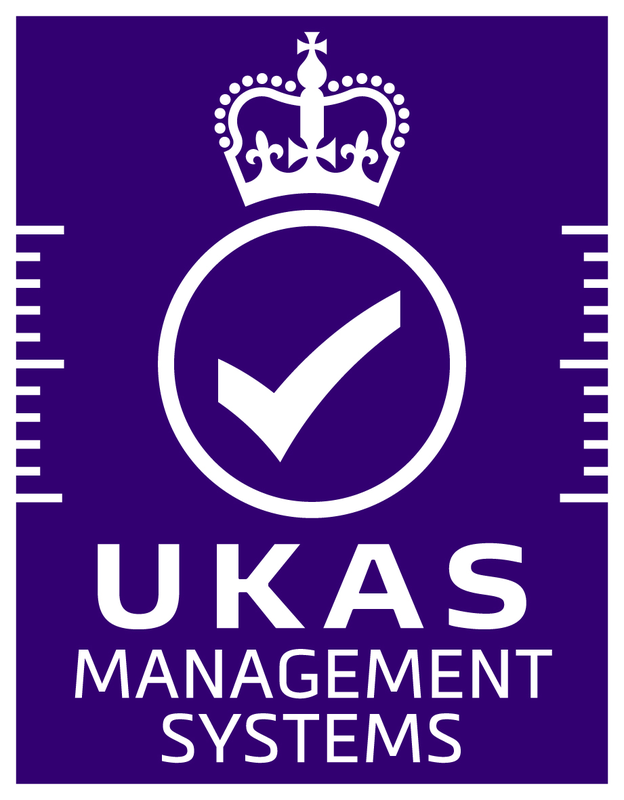 ISO 9001:2015 sets out the criteria for a quality management system and is the only standard in the family that can be certified to (although this is not a requirement). Using ISO 9001:2015 helps ensure that customers get consistent, good quality products and services. 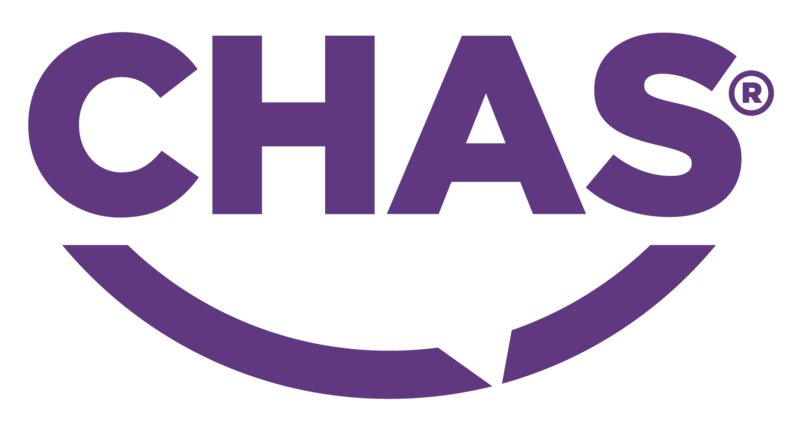 Ram Fabrications are members of CHAS and undergo annual assessments to ensure we maintain the highest of safety standards in what we do. The UK's leading procurement and supply chain management service. 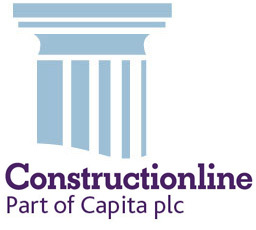 Constructionline is the UK's largest register of contractors, consultants and material suppliers for the construction industry. With over 8,000 key decision makers from over 2,800 buying organisations using Constructionline to select quality suppliers, it's a great aknowledgement of our hard work to promote our services and gain access to new work opportunities. As the UK's most connected and progressive provider of procurement and supply chain management services, they're committed to simplifying the assessment process for buyers and suppliers in the construction industry. This brings efficiencies and cost savings. Whilst we are based in Wakefield our installations cover the whole of the UK, from Edinburgh to London and most places inbetween! Our team are fully mobile and can cater for all locations, even the British Isles! Based near the Capital? Don't be controlled by local prices when we can offer you a solution that fits your budget regardless of the commute! We can facilitate complete structure design, development, installation and warranty for all aspects of structural steel, secondary steel and balustrading systems. Tell us what your project needs and we will tell you what you need to make it a reality. Once we have a design, we will develop and value engineer it to give you the best value solution. We will be there every step of the way, just a phone call away to ensure your confidence.